Register for one of our May 7th, 15-minute live model Sony photoshoot sessions at Vistek Edmonton. 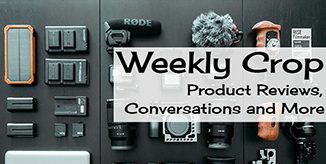 These short sessions will provide you with the opportunity to try out the latest Sony alpha cameras, in our in-store studio setting, with a live model. 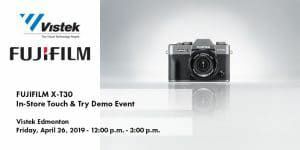 Register for one of our May 8th, 15-minute live model Sony photoshoot sessions at Vistek Calgary. These short sessions will provide you with the opportunity to try out the latest Sony alpha cameras, in our in-store studio setting, with a live model. Register for one of our May 8th, 15-minute live model Sony photoshoot sessions at Vistek Ottawa. These short sessions will provide you with the opportunity to try out the latest Sony alpha cameras, in our in-store studio setting, with a live model. Register for one of our May 10th, 15-minute live model Sony photoshoot sessions at Vistek Mississauga. These short sessions will provide you with the opportunity to try out the latest Sony alpha cameras, in our in-store studio setting, with a live model. Register for one of our May 11th, 15-minute live model Sony photoshoot sessions at Vistek Toronto. These short sessions will provide you with the opportunity to try out the latest Sony alpha cameras, in our in-store studio setting, with a live model. Register for one of our May 14th, 15-minute live model Nikon photoshoot sessions at Vistek Calgary. These short sessions will provide you with the opportunity to try out the latest Nikon cameras, in our in-store studio setting, with a live model. Register for one of our May 16th, 15-minute live model Nikon photoshoot sessions. These short sessions will provide you with the opportunity to try out the latest Nikon cameras, in our in-store studio setting, with a live model. Register for one of our May 16th, 15-minute live model Nikon photoshoot sessions at Vistek Edmonton. These short sessions will provide you with the opportunity to try out the latest Nikon cameras, in our in-store studio setting, with a live model. Register for one of our May 17th, 15-minute live model Nikon photoshoot sessions at Vistek Mississauga. These short sessions will provide you with the opportunity to try out the latest Nikon cameras, in our in-store studio setting, with a live model.